Home Characteristics How Heavy is a Polar Bear? How Heavy is a Polar Bear? Polar bear is a pretty heavy animal—probably the heaviest of all carnivorous land mammals. Siberian tiger is just about the same weight as polar bear but the latter is slightly heavier. Therefore, polar bears do not have any natural predators in the Arctic. However, when they born they are only as heavy as an adult ground squirrel. 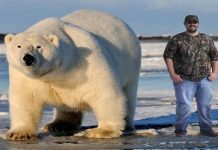 Now let us see how heavy is a polar bear in the wild? Mature male bears average 350–700 kg (772–1,543 lb) in weight but most bears weigh 800 – 900 pounds. Adult males are two times heavier than adult females. However during dormancy the female polar bears put on too much weight—reaching the weight of adult males. A Polar bear spreads its body weight to prevent herself from falling into the water. In the Beaufort Sea, the adult males are reportedly as heavy as 450 kg (992 lb) whereas mature females average 150–250 kg (331–551 lb) in weight. During pregnancy, the female reaches the weight of 1,100 pounds. 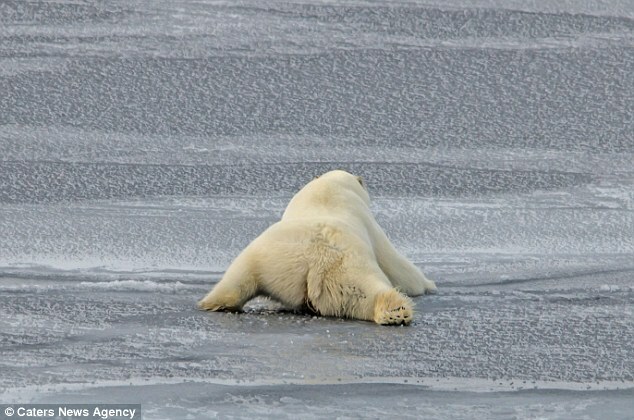 Many a times it happens that a polar bear spreads its legs while walking on the thin ice. It does so in order to distribute its body weight equally so the bear doesn’t fall into the water. 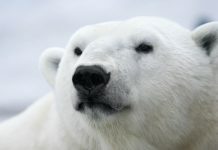 When the Arctic ice is not thick enough to support the bear’s weight, the polar bear cannot hunt for seals because it uses dense ice as a hunting platform. 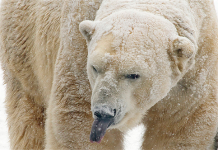 Consequently, the polar bear spends weeks sometimes even months in starvation. 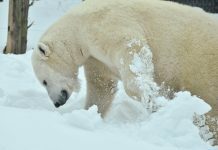 According to the Guinness Book of World Records, the maximum polar bear weight is recorded at 385 to 410 kg (849 to 904 lb) but conservationists have found polar bears weighing more than 1,000 pounds in the wild. 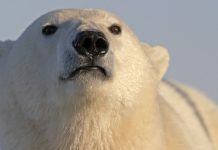 There’s no mass comparison of polar bears with any other ground-dwelling Arctic species—the white bear is clearly the biggest and the heaviest of all Arctic mammals. How Heavy is a Polar Bear? 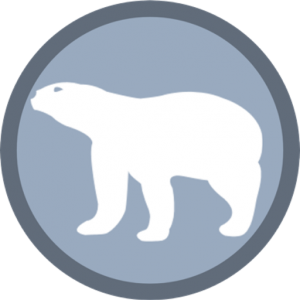 – Video showing a polar bear walking on a thin ice. 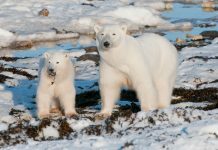 Can Polar Bears Survive in Warm Climates? Do Polar Bears have Whiskers? How Many Legs Does a Polar Bear have?